The Pao National Organization (PNO) is the main armed opposition force among the Pao (Pa-oh, Taungthu) people in rural districts around Taunggyi in southwestern Shan State in Myanmar (Burma). Pao nationalists took up arms with the Karens, to whom they are related, in 1949 shortly after Burma's independence. More than 100,000 Paos inhabit rural districts of the Karen and Mon States. Militant Pao nationalism, however, has mostly been expressed within the context of Shan State, where more than 500,000 Paos live. Most Paos are Buddhists. During the 1950s, the main drive of the Pao movement was against the traditional rule of the Shan sawbwas (princes). In 1958, some 1,300 Pao guerrillas laid down their weapons under the "arms for democracy" program of Prime Minister U Nu. One year later, the sawbwa system was abolished. Following the 1962 coup of General Ne Win, however, the Pao armed movement quickly revived under a new name, the Shan State Nationalities Liberation Organization (SSNLO). In 1973, an ideological split occurred between the SSNLO supporters of Tha Kalei, who allied himself with the Communist Party of Burma, and a pro-federalist movement led by the veteran politician "Thaton" Hla Pe (1910–1975). Following Hla Pe's death, leadership was taken over by a former Buddhist monk, Aung Kham Hti, who reestablished the PNO in 1976 and joined the National Democratic Front. Sporadic fighting continued between the two factions until 1989 when Buddhist monks brokered peace talks. The following year, above-ground Pao candidates won three seats in the 1990 general election, precipitating another reorientation in Pao politics. In 1991, the PNO arranged a cease-fire with the State Law and Order Restoration Council government, followed in 1994 by the SSNLO. A Pao self-administered region was promised in the cease-fire areas designated as Southern Shan State Special Region 6, and both Pao forces opened offices in the towns to embark on a variety of social and development programs. Hackett, W. (1953) "The Pao People of Shan State." Ph.D. diss., Cornell University. Smith, Martin. (1999) Burma: Insurgency and the Politics of Ethnicity. 2d ed. London: Zed Books. Tzang Yawnghwe, Chao. 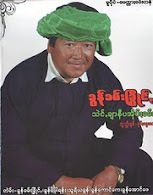 (1987) The Shan of Burma: Memoirs of a Shan Exile. Singapore: Institute of Southeast Asian Studies.